Alex Collins is an American Football player who plays in the running back position for the Baltimore Ravens. He is one of the highly rated upcoming stars in the NFL and the reason is not hard to see; despite the fact that he was not a regular starter in the 2017 season until the 5th game, he still went on to finish with 937 rushing yards (the 11th most rushing yard in the league) and scored 6 touchdowns. Alex Collins is currently ranked the 26th best running back in the league on the NFL official website and with a grade of 89.7% which was the highest graded running back in 2017, according to Pro Football Focus. Find out more about this incredible player, who was one of the biggest revelations of the 2017 NFL season, here. Alex Collins was born on the 26th of August 1994 in the town of Plantation, Fort Lauderdale, Florida. His mother’s name is Andréa McDonald while his father’s name is Johnny Collins. Alex had his high school education at South Plantation High School where his athletic prowess immediately shone; he was a multi-sport athlete who played as much as five sports including football, basketball, lacrosse, track, and even competitive cheerleading. He won many trophies, awards and broke many records while in high school. As a junior, Alex rushed 1,786 yards and scored 28 touchdowns, helping his high school team, The Paladins, qualify for the state playoffs in the process. He also repeated the same feat in his senior year, helping his team reach the state playoffs with a rush of 1,400 yards and 14 touchdowns. His achievements earned him a call-up to the Semper Fidelis All American Bowl, an all-star game organized by the US Marine Corps. On graduating from high school, Alex Collins joined the University of Arkansas as a student-athlete in 2013 and continued with his winning mentality and incredible performances. In a three year stint spanning 2013 to 2015, Alex led the university’s football team known as The Razorbacks to two championships including the Texas Bowl in his sophomore year, 2014 and the Liberty Bowl in his penultimate year in January 2016. He was also able to rush not less than 1,000 yards in each of his three seasons, one of the only three players ever to achieve that feat in the history of The Razorbacks. Furthermore, Alex holds the record for the most rushing touchdowns in a single season – 20. By a combination of talent, sheer hard work and a soupcon of luck, Alex was able to make his way into the 53-man main squad by week 2 of the 2017 season and by week 5, he was a regular starter for the Baltimore Ravens. He repaid the faith the team had placed in him, rushing 973 yards and scoring six touchdowns in the process. This and other heroics made ESPN Fantasy Football dub him “One of 2017’s more surprising breakout performers”. Presently, Alex Collins is signed onto a one year contract worth $630,000 with The Baltimore Ravens. The Florida native, who wears the number 34 jersey, is the first string running back for the Baltimore Ravens. He is the undisputed starter for them and is focused on breaking the 1000 yard mark; a feat that no other Baltimore Raven player has been able to achieve since Justin Forsett in 2014. With his cool, calm and collected way, our money is definitely on Alex Collins to break this record. Back in February 2013 when Alex Collins signed for the University of Arkansas, there was some controversy as his mother refused to sign his national letter of intent, a sort of binding contract between him and the university. His mother instead left the signing ceremony, which was supposed to take place at his high school, taking the papers with her and even involved lawyers. It was his father that later signed the papers after he sorted out the disagreement with his mother. It was later revealed that his mother was concerned with how far Arkansas was from Florida and wanted Alex to attend a nearby university. His mom also wanted to ensure that his well being was taken care of and that they were no inappropriate external influences on him. Alex is 5 feet 10 inches tall and weighs 208lbs or 94 kg. Even though he is not so tall, he makes up for it with his physical strength as well as his running ability. He has no trouble at all plowing through tacklers and is prolific both on the ground and in the air. 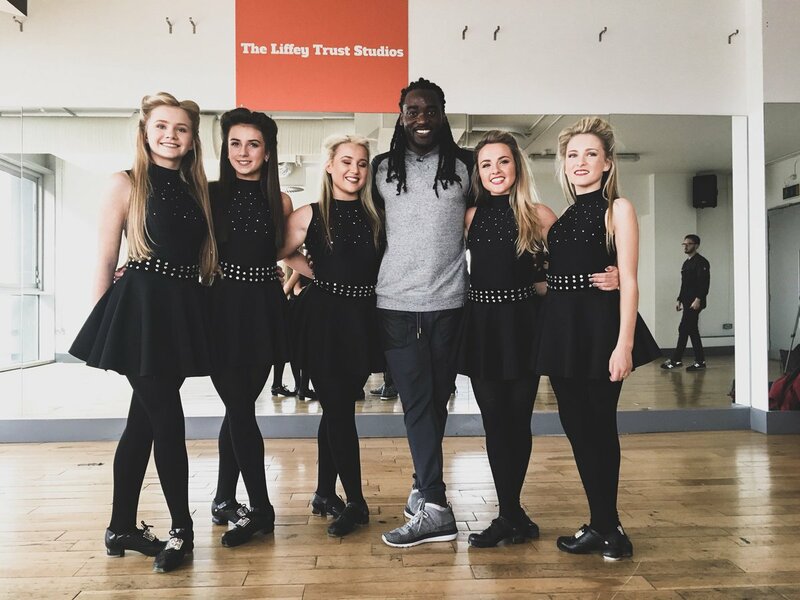 Alex Collins is also popular for his Irish dancing skills. According to him, he was encouraged to go into it by the daughter of his high school football coach. He credits the dance, which is very physically demanding, with helping him improve his speed and maneuvering through defenders and tackles.